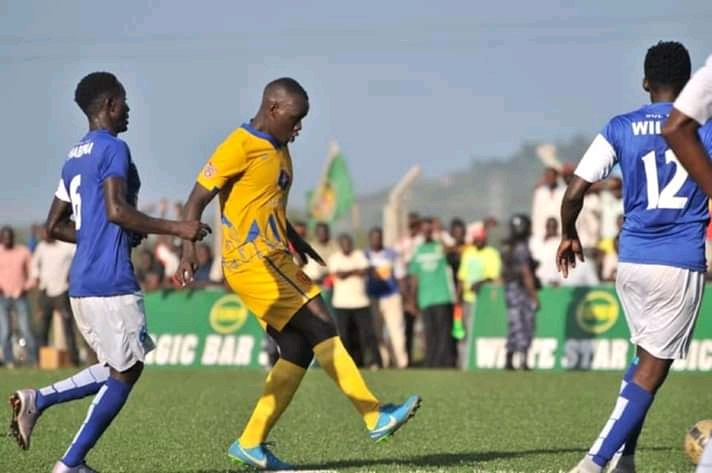 NJERU – Twelve time StarTimes Uganda Premier League Champions KCCA FC defeated BUL 2-0 on match day 13 UPL at Njeru techinical Centre. Goals from Muzamir Mutyaba and Mike Mutyaba where enough to hand KCCA FC the win despite conceded late on via Jean Kambale’s strike. Villa Oromchan’s long range attempt went wide denying the hosts an early lead inside 12 th minutes. Muzamir Mutyaba opened the scoring for KCCA three minutes later off Steven Serwadda assist. Midway the first half, KCCA FC goalie Charles Lukwago produced a stunning save to deny David Owori from distance. With 14 minutes to half time, Mike Mutyaba extended the visitor’s lead converting Allan Okello’s well weighted pass to put Mike Mutebi’s side 2-0 up. Moments later, the former Express FC forward nearly doubled his tally but despite getting the ball into the back of the net, his effort was ruled out for offside. Both sides went into halftime with the score sheet favouring one side, KCCA FC. A few minutes into the second half, Allan Okello missed from close range, taping wide of the target. At the other end, Richard Matovu produced another decent save from Lukwago. Both sides made their first substitutions on 64 minutes with Peter Onen withdrawing Douglas Owori for Wandyaka while Steven Serwadda paved way for Julius Poloto. Four minutes later Gift Ali was withdrawn for Patrick Henry Kaddu whereas Kambale Muhindo replaced Villa Oromchan. Substitute Kambale pulled one back for the hosts via a free kick that saw Lukwago rooted at the spot. Despite BUL FC creating more opportunities in the later minutes, they could not find the leveler and KCCA walked away 2-1 winners. BUL slip into 7th position with 19 points while KCCA maintain the top spot with 30 points.